If you have been injured in a car accident, you may not be sure who to trust or where to turn. While you are right in contacting your insurance company to file a claim, you also need to know that insurance companies are more interested in protecting their bottom line than they are in helping you. The best decision after suffering a motor vehicle accident is to contact the personal injury attorneys at Marshall, Bonus, Proetta & Oliver. 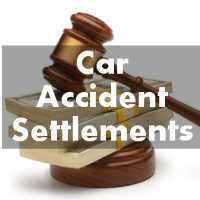 Our personal injury car accident attorneys represent clients throughout New Jersey including Hamilton, Old Bridge, Franklin, Union Twp, Piscataway, Hoboken, Wayne and Jackson. Our personal injury lawyers have over 100 years of combined legal experience and are the best at getting car accident victims the help they need. Whether you have extensive vehicle damage, physical injuries, lost time at work, or emotional trauma, we can help you understand your rights and will work your case to get you the best legal outcome and most financial help possible. With nine convenient locations throughout New Jersey, we have an extensive arsenal of skilled lawyer and professionals ready to listen and get working on your personal injury claim. Do not leave everything up to the insurance companies. You should know that insurance companies can often do much better than what they first tell you. We can help you get the answers you need. You need to be able to focus your efforts on getting yourself better and moving forward with your life. Let us work through the confusing steps following your motor vehicle accident for you. It has been proven that car accident victims who hire an attorney receive three times as much financial help as those who are not represented. Let the skilled attorneys at Marshall, Bonus, Proetta & Oliver work on your side for those benefits that you deserve. Our car accident lawyers represent clients who have suffered injuries from a car crash anywhere throughout New Jersey including East Brunswick, Bayonne, Howell, Bridgewater, Parsippany, Bloomfield, Clifton, and Hackensack. Contact our team of New Jersey Personal Injury Lawyers for your free consultation today.